Celebrate the Year of the Dog with Festival Mall's ALL-OUT SHOPAHOLIC SALE! 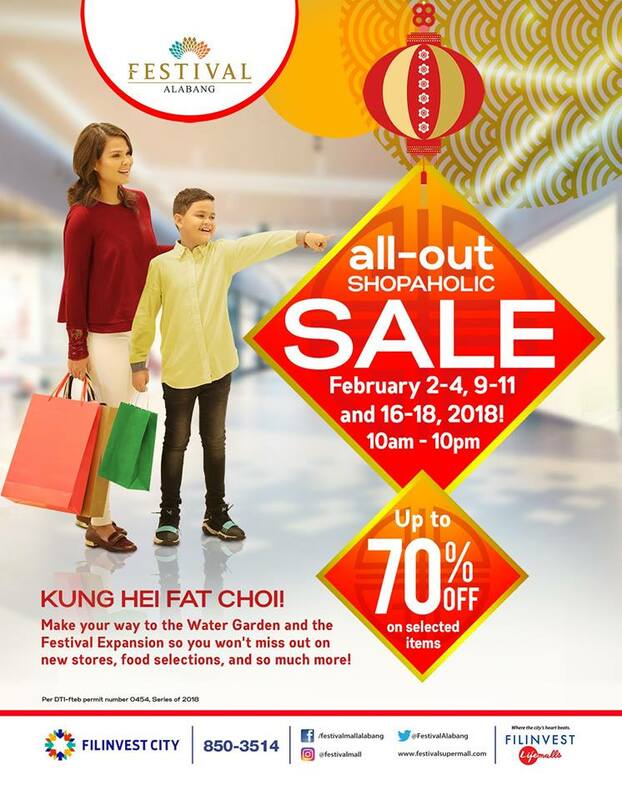 Enjoy up to 70% of selected items mallwide on February 2-4; February 9-11 and on February 16-18, 2018! You guys out there are performing an enormous job.